And how our family uses these items every day. 1. 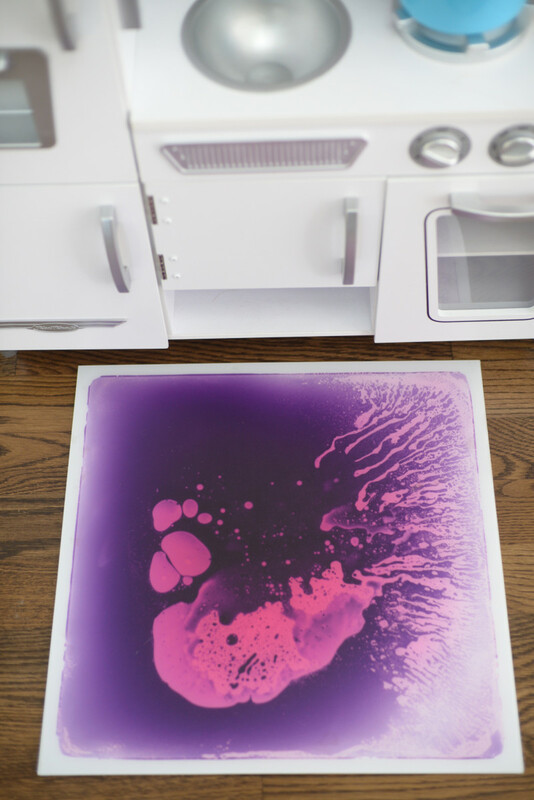 Liquid floor mat. This past holiday season, I was in a local toy store at the checkout counter when I looked down and saw I was standing on this cool mat. It was obviously intended for children, but I couldn&apos;t help but become completely enthralled by it—when you step on it, the liquid inside moves around so that it gives the illusion of stepping into a puddle. I bought one on the spot for Sloan, and ever since, it&apos;s lived on the floor in front of her play kitchen. I knew she would love it, but what I didn&apos;t expect was how many other people who visited our home would also love it. Of all the things in our living room, it&apos;s the most frequently commented on. 2. Bows and hair elastics. When Sloan first had enough hair that we could put her baby mullet into a tiny ponytail, I found that all of my hair ties were too big to accommodate her hair. 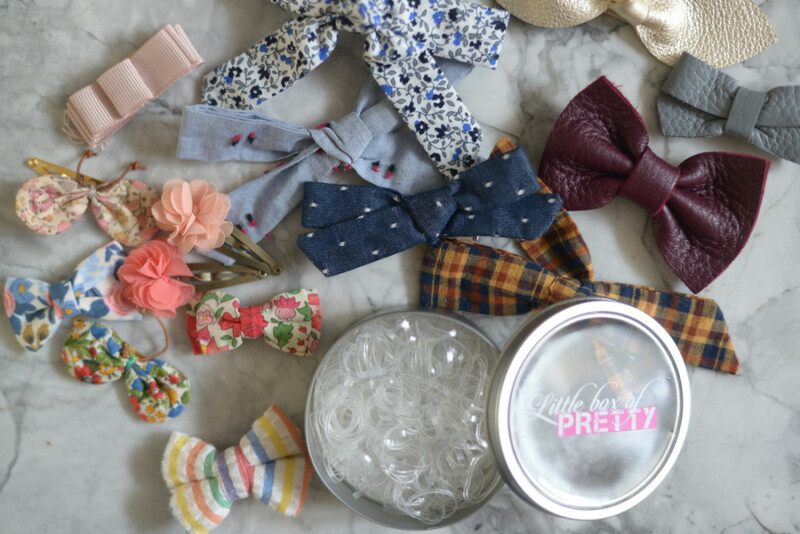 Each of these tins comes with a million tiny bands that are perfect for her thin hair—and make it so that we don&apos;t have to worry too much about losing them (which, for the record, is all the time). While we used to purchase them in fun colors, we now use the translucent bands so we can jazz them up with a bow. 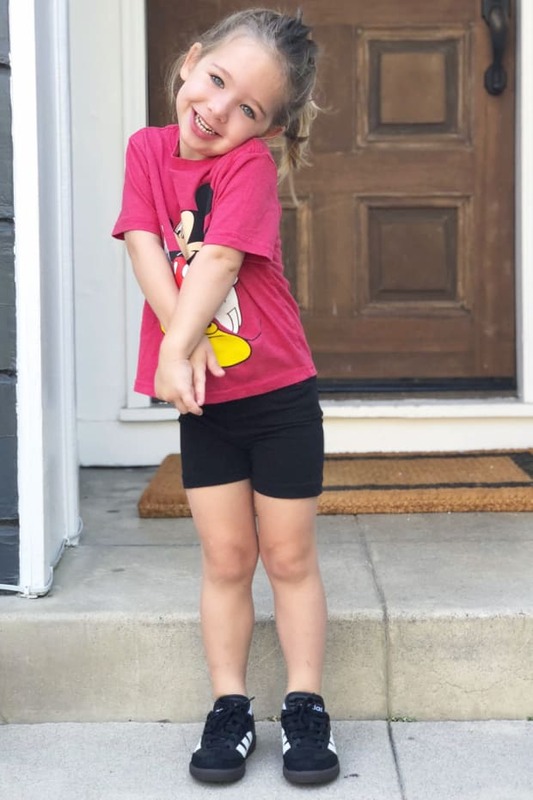 The little bows, which I usually find on Etsy, make a big impact for those days she&apos;s in a basic baby outfit that&apos;s stained or plain. 3. Hooded Robe. There&apos;s pretty much nothing cuter than a baby fresh out of the bath strutting around the house in a robe. I found this one for about $15 on Amazon and it&apos;s completely changed our bath time game. Now, after we towel her off, we throw her in the robe which buys us a few extra minutes so she isn&apos;t just sitting there shivering while we get her into her pajamas. I love the hood on this one because when I&apos;ve washed her hair, I can put it over her wet head to keep her warm. 4. 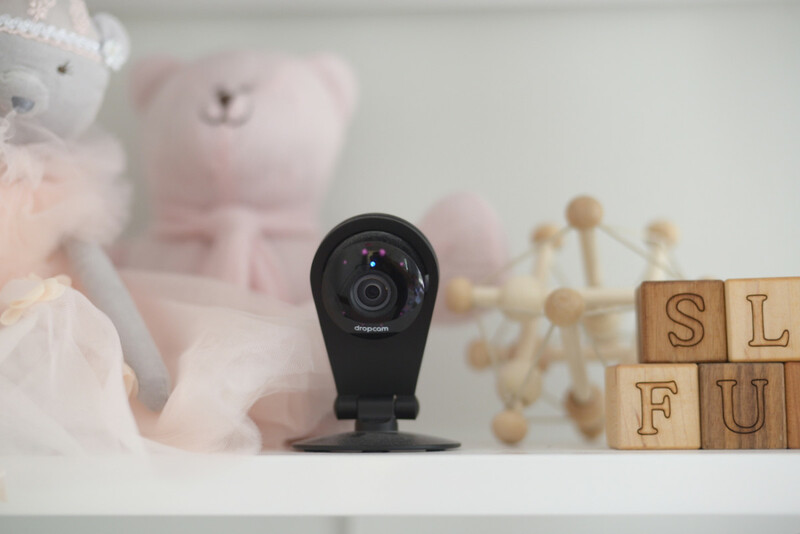 Nest, formerly known as Dropcam: We&apos;ve used Nest as our baby monitor since Sloan was born. It&apos;s unobtrusive, you can reverse in time to see things, and speak into the speaker if we need to communicate with her. The most compelling reason for it though is that we don&apos;t have to be attached to a monitor—we can log into an app from our phones and see her nursery anytime we want to check in on her (which is a huge bonus when she&apos;s napping, and we want to see if she&apos;s stirring without waking her up). 5. TOMS shoes. Baby shoes are absurdly cute, but also absurdly hard to get onto their little feet. When Sloan is squirming, getting her into a complicated shoe is close to impossible. 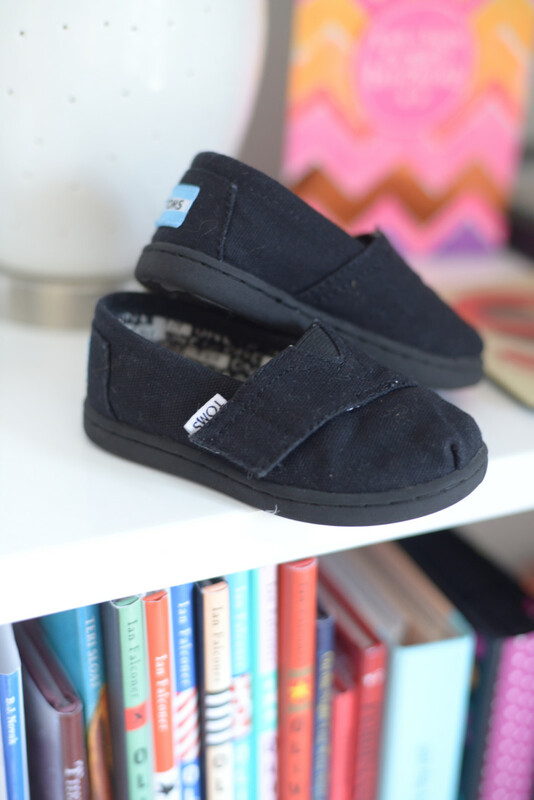 These TOMS don&apos;t require socks and have velcro straps on top that easily close over her foot and are basic enough that they go with even her busiest clothes. Plus we love what the company stands for. 6. 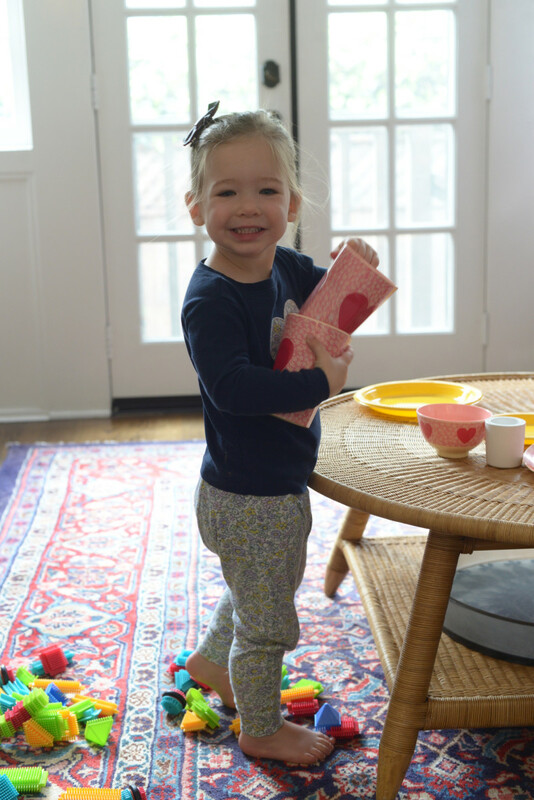 Kitchen: This kitchen was Sloan&apos;s big Christmas gift last year and it&apos;s easily the best purchase we&apos;ve made for her. She spends countless hours at the "stove" making pasta, cookies, and coffee. It feels so amazing to see how imaginative and creative she is at such a young age. 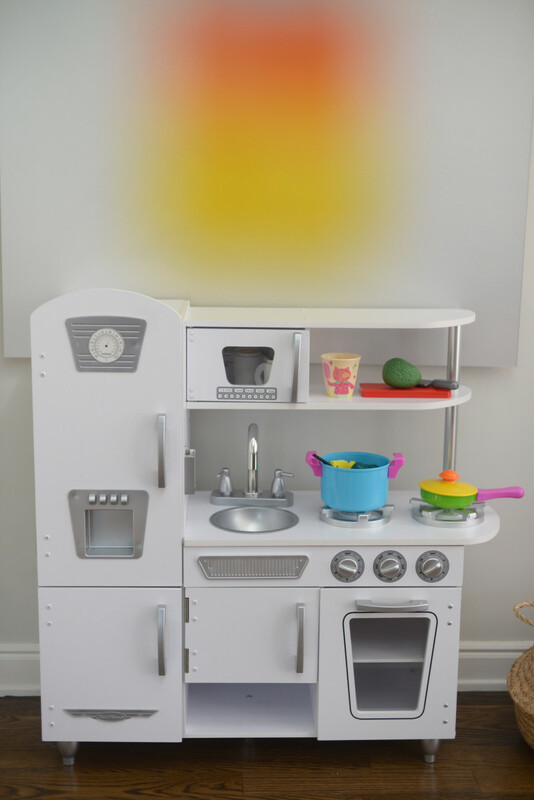 And, from what I&apos;ve heard from parents of older children, Sloan can grow into it—I know children who are still using their baby kitchens at age seven. It&apos;s a behemoth in our living room, but it really does provide Sloan with endless hours of play time. 7. Old Navy fleeces (available seasonally here). When Sloan was first born, someone gifted her a little Patagonia fleece that was so cute and reminded me of my Northern California roots, but the reality is that the investment wasn&apos;t completely practical for a two-year-old. Her outerwear is constantly getting messed up and she grows out of clothes so quickly that I wanted to find a similar fleece that was affordable and could get dirty. 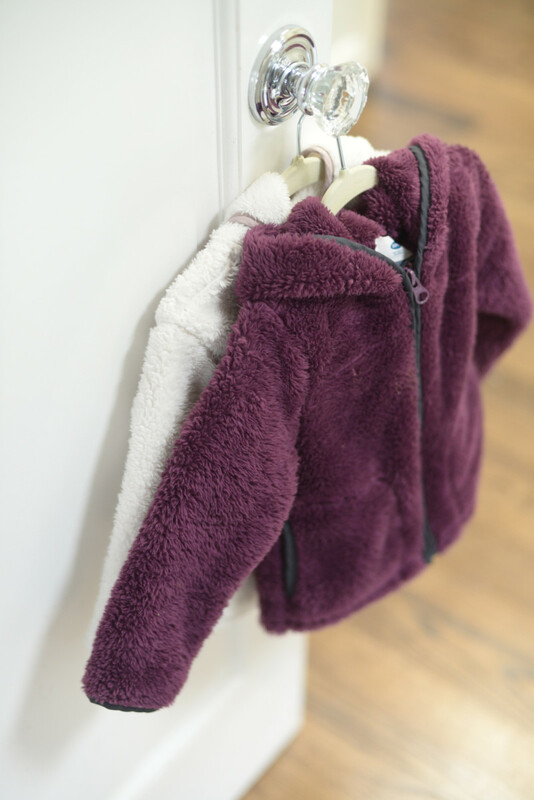 When I came across these fleeces on sale at Old Navy for roughly $10, I bought a few colors so that I always have one in the back of the car in case we&apos;re at the beach and it gets chilly, or in her stroller for the park. They&apos;re so cozy, easy, and affordable. 8. 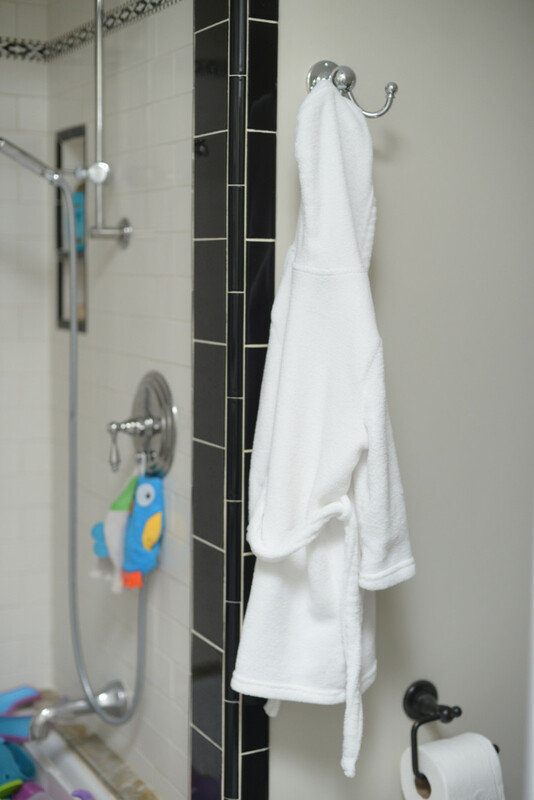 Mustela products: Sloan&apos;s been using Mustela since her very first bath when Geoffrey, my mom, and I nearly flooded the kitchen. 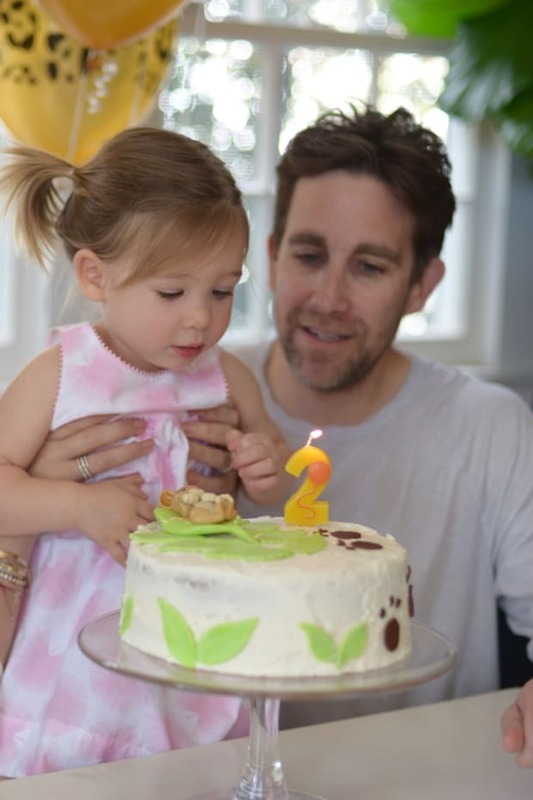 Everything in their line smells incredible, but it&apos;s made with all-natural ingredients so it doesn&apos;t irritate Sloan&apos;s sensitive skin. 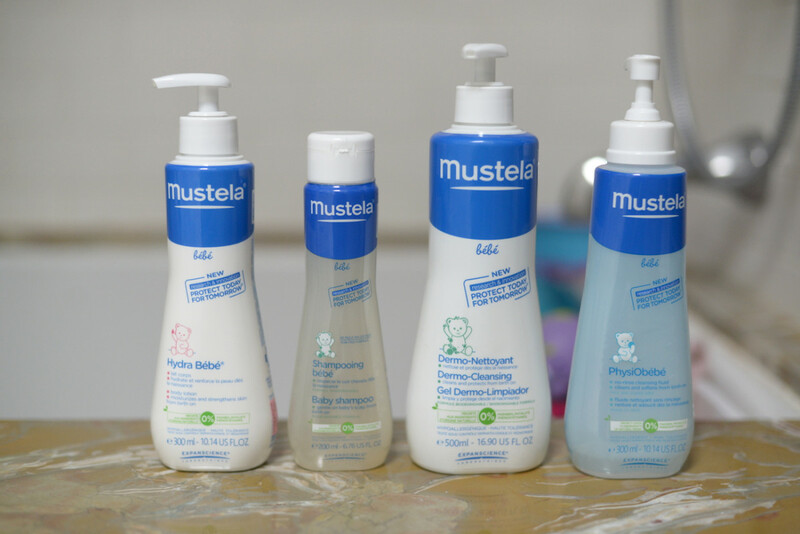 It&apos;s safe to say we&apos;ve drank the Mustela Kool-Aid. 9. GAP Pajamas. Sloan has not yet embraced a blanket, which means that most nights she&apos;s in a full footed pajama, in addition to a sleep sack. GAP has the cutest versions—they&apos;re really soft and wash remarkably well. We also have several two-piece sets (pictured here) for warmer nights and the patterns are so adorable that if we go for a walk early in the morning, I can get away with keeping her in them. 10. 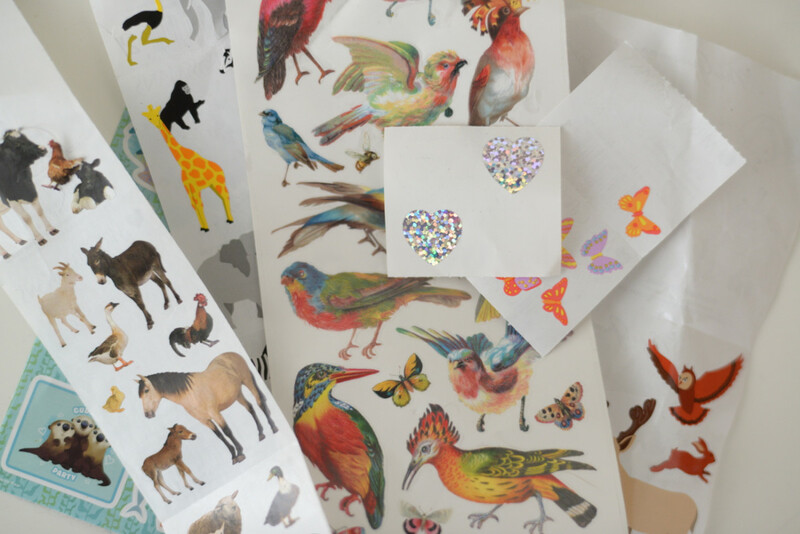 Stickers. The first moment I realized Sloan was old enough to understand and love stickers, it made me so excited to be able to share with her something that I still remember so clearly from my own childhood. 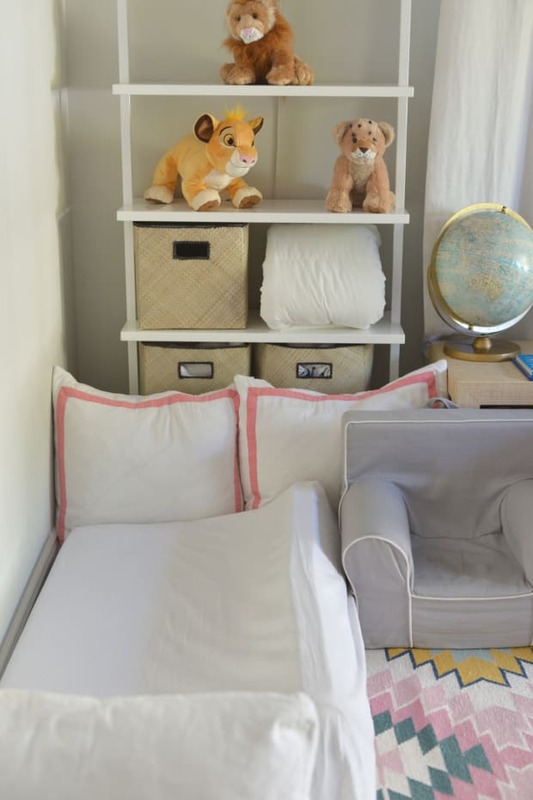 Some of the exact same designs from when I was a kid are still being used today—in addition to hundreds of new, beautiful options—and they provide endless hours of entertainment to her. We bought her a sticker book with little activities that&apos;s easy to pull out if we&apos;re in the car or at a restaurant, as opposed to a coloring book with an endless supply of crayons. Fortunately, she hasn&apos;t discovered yet that they can be placed on furniture—there may be a problem with that down the line, since I had that issue myself as a kid—but for now she&apos;s content to put them all over her body. It completely makes my day whenever she comes over to put a heart sticker on my arm, especially since I know how much they mean to her.